Instead of a comedian, White House Correspondents’ Association enlists author Ron Chernow as speaker – Because in this game of life the more you know the better player you will be. 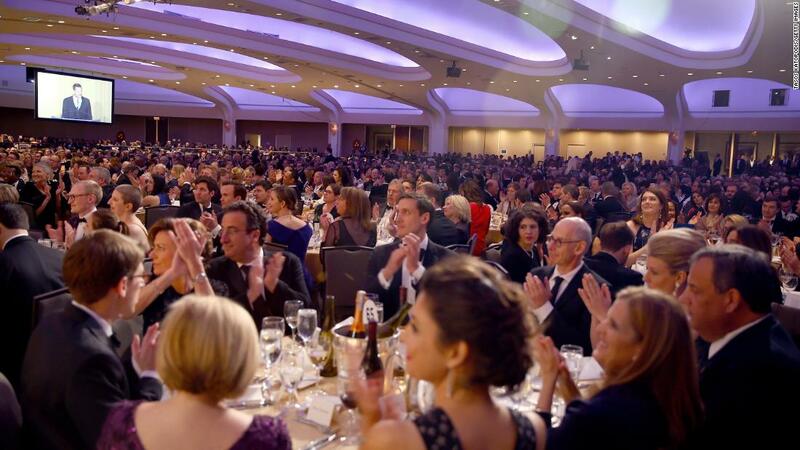 New York (CNN) The White House Correspondents’ Association is shelving its tradition of having a comedian roast the president and the press corps at its annual fundraising dinner. Instead, famed author Ron Chernow will be the featured speaker. The dinner is a key date on Washington’s social calendar. But its meaning has changed amid constant attacks on the media and increasing political polarization. Booking Chernow instead of a stand-up performer is a recognition that the annual dinner changes dramatically when the president isn’t there. Historically, Knox told CNN earlier this year, “when the president comes, the program’s center of gravity naturally tilts toward the president.” After he speaks and ribs the press corps, the featured comedian serves as the counter-balance. But with the president absent, the dinner has a different, more combative feel. Knox and the association’s board members are trying to change that. “As we celebrate the importance of a free and independent news media to the health of the republic, I look forward to hearing Ron place this unusual moment in the context of American history,” Knox said in a statement on Monday. Chernow is the author of six books, including best selling titles about Alexander Hamilton and George Washington. The Hamilton biography inspired Lin-Manuel Miranda’s Broadway hit musical “Hamilton,” and Chernow served as a historical consultant on the production. Comedienne Michelle Wolf spurred debate about the dinner format when she performed at last April’s dinner. But many writers, activists and comedians defended Wolf for roasting both the administration and the media. The correspondents’ association — which did not vet her monologue ahead of time — expressed regret that the controversy over the jokes overshadowed the dinner’s First Amendment message. Members of the association serve one-year terms as president. The president back then, Margaret Talev, said she invited Wolf because “she was a talented comedian with a message to deliver.” But Talev also said Wolf’s stand-up act did not reflect the “spirit” of the association’s mission. Knox took over as president of the association in July. His day job is chief Washington correspondent for SiriusXM. He leads the group’s advocacy for press access and other White House issues. In the past week, the association has supported CNN in litigation with the White House over Jim Acosta’s press pass. After Knox’s term as president, Jon Karl of ABC News will take over next July. Then it will be Karl’s turn to decide whether to invite a comedian, an author, or someone else for the 2020 dinner. But the decision about 2019 has already stirred lots of debate, with some journalists praising the pick and others saying it was a capitulation to Trump. Wolf left no doubt about her point of view.